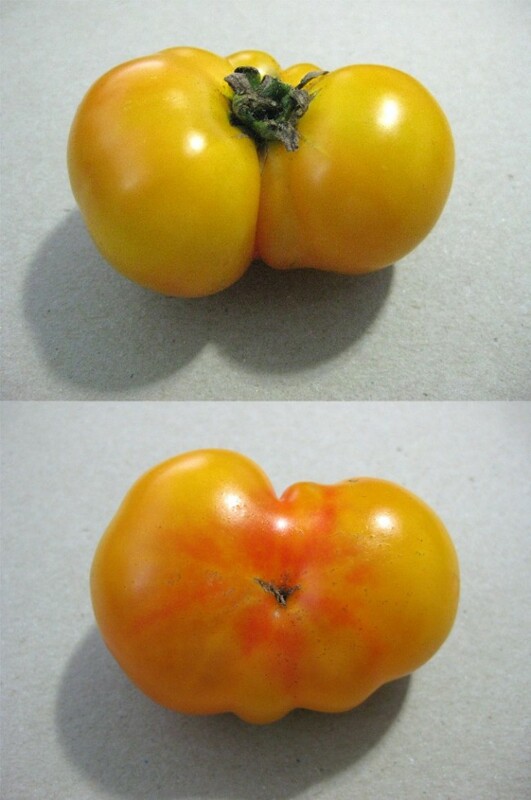 Rumi Banjan is a very rare tomato. It was brought to the U.S. in 1937 from Afghanistan. 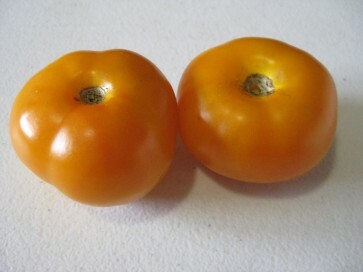 I love the red marbling on the bottom and the stunning deep yellow color. 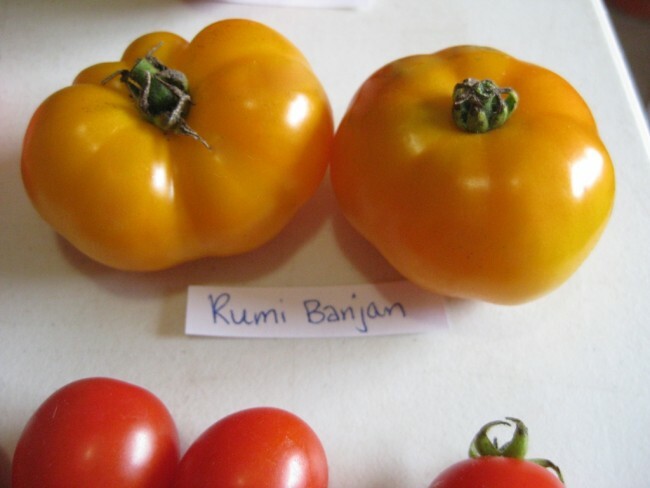 To read the history on them, check out Rumi Banjan Tomato History on the Four Daughters Farm site.